Watch the event on C-SPAN's website here. 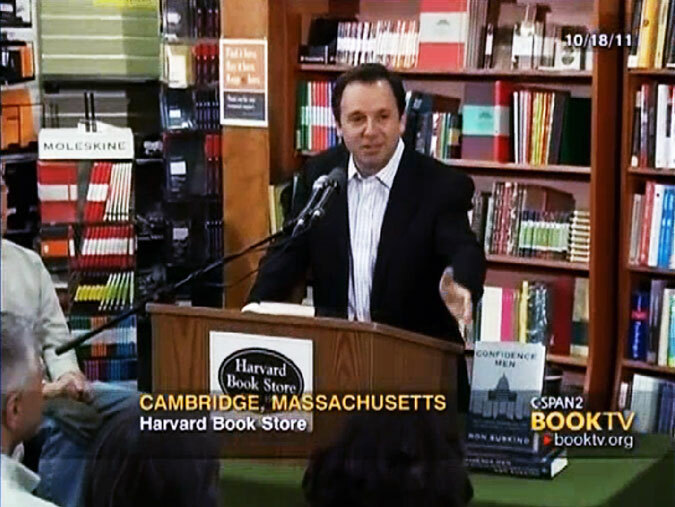 Pulitzer Prize–winning journalist Ron Suskind discusses his new book on the inner workings of American policy, Confidence Men: Wall Street, Washington, and the Education of a President. In Confidence Men, Ron Suskind tells the story of what happened next, as Wall Street struggled to save itself while a man with little experience and soaring rhetoric emerged from obscurity to usher in “a new era of responsibility.” It is a story that follows the journey of Barack Obama, who rose as the country fell, and offers the first full portrait of his tumultuous presidency. Ron Suskind is the author of The Way of the World, The One Percent Doctrine, The Price of Loyalty, and A Hope in the Unseen. From 1993 to 2000, he was the senior national affairs writer for The Wall Street Journal, where he won a Pulitzer Prize. He lives in Washington, D.C.